A simple village expansion for Karthwasten. Karthwasten is supposed to be a bustling mining town with two actively worked mines, yet only has a couple of buildings and too many NPCs to match. Plus it's a known lore town that's been here for at least 200 years. 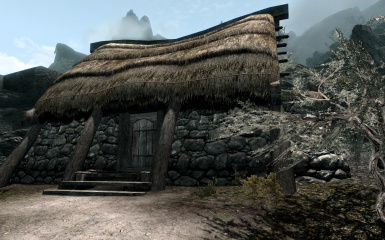 So this place needed a bit of an expansion to flesh it out and make it seem more like the "Karthwasten Hall" of old, in as much as Skyrim will allow for that. No more pitifully small center of mining for The Reach! 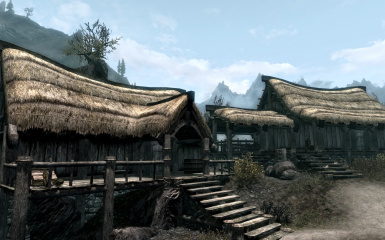 * Each NPC now has their own home. 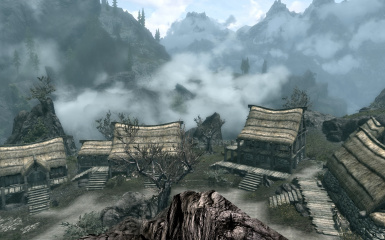 * LOD has been generated for the area, including trees, that account for the changes. Drop the Karthwasten.esp and Karthwasten.bsa files into your Data folder. To remove the mod: Delete the Karthwasten.esp and Karthwasten.bsa files from your Data folder. Then reload your game as usual. Will not be compatible with other mods that change the Karthwasten exteriors.